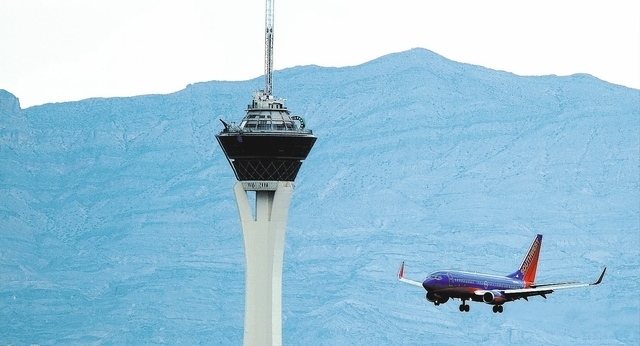 Now, another city may go through the process of lifting flight restrictions and that too could help Las Vegas travelers. The Wright Amendment, named for former Rep. Jim Wright, D-Texas, was designed to spur interest in serving the then-new Dallas-Fort Worth International Airport. What the legislation did was prohibit flights on planes with more than 56 seats from flying directly to any destination outside of Texas and its four contiguous states — New Mexico, Oklahoma, Arkansas and Louisiana. Over time, several lawmakers cut exemptions into the amendment that enabled flights between Love Field and Alabama, Kansas, Mississippi and Missouri as well as Texas and the four adjoining states. But for years, airlines that operated at Love Field were bound by the law. For Southwest and its customers, the amendment created a huge disadvantage. Not only did the Wright Amendment prevent long-range flights to and from Southwest’s corporate headquarters — the airline’s complex is right on the airport — but it also prevented businessmen from flying into the airport closest to downtown Dallas. Southwest was banned from advertising flights from outside the Wright zone to Dallas. Clever, creative and obviously loyal Southwest customers ended up designing custom-built Dallas itineraries by purchasing two tickets per trip. For Las Vegas customers, for example, a likely itinerary would include a round-trip ticket from McCarran to Albuquerque and a second ticket from Albuquerque to Dallas. The arrivals and departures had to be timed to enable a passenger to deplane and board their flights in the middle city. In most cases, passengers had to pay more to get from their city to Dallas with the extra flights than it would to make a round trip to Dallas-Fort Worth International. By 2004, Southwest had had enough. Its leadership spearheaded an effort to kill the Wright Amendment after other opponents of the law misfired in their efforts in the 1990s after Dallas-Fort Worth International reached capacity. Southwest officials persuaded the Dallas-Fort Worth airport and those cities to get behind a proposal to repeal the Wright Amendment. 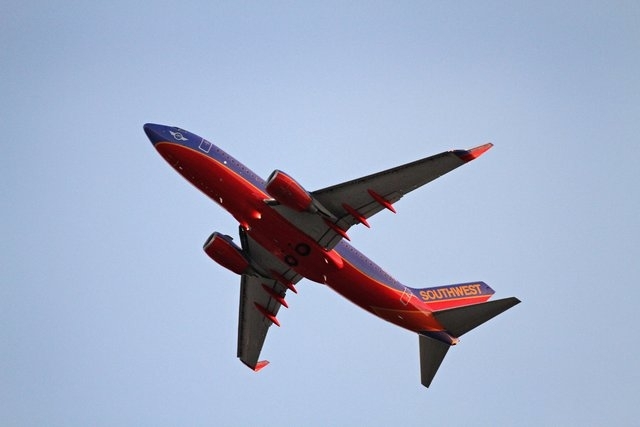 Under terms of the deal, the flight ban would continue through October 2014, but Southwest could immediately market and sell tickets to and from Dallas from anywhere on its system, eliminating the need for custom-built itineraries. On Oct. 13, the ban on nonstop flights expired and Southwest celebrated the end of the Wright Amendment with great fanfare. For Las Vegas, the end of the restriction was huge. Southwest immediately launched three daily nonstop round trips between McCarran and Love Field, then added a fourth in early November. That’s an addition of at least 500 seats a day into the Las Vegas market. The Wright Amendment repeal was at least partially responsible for Southwest transporting a record 17 million passengers to Las Vegas in 2014, a 2.9 percent increase over the previous year. The repeal of the Wright Amendment was a big deal for north Texas and the Dallas Metroplex. Now, there’s some consideration being given to end another airport restriction that also could lead to new Las Vegas service. According to The Wall Street Journal, the Port Authority of New York and New Jersey, which runs the three dominant New York City area airports, is considering ending the long-standing “perimeter rule” imposed on LaGuardia Airport. Imposed as a means of encouraging growth of John F. Kennedy International Airport when it opened in 1948 as New York International Airport, the LaGuardia perimeter rule restricts flights to and from New York to 1,500 miles or less. The LaGuardia perimeter rule has exceptions. The rule isn’t in effect on Saturdays and flights to and from Denver are exempt. LaGuardia is a hub airport for Delta Air Lines, the third-busiest air carrier at McCarran behind Southwest and United. Delta, American Airlines, Virgin America and JetBlue Airways already have 74 nonstop round trips a week between JFK and McCarran and United Airlines has 33 round trips a week between Newark Liberty International Airport and McCarran. Although the demand for nonstops from Las Vegas to LaGuardia may not be particularly strong considering the JFK and Newark options, there’s still some compelling arguments for airlines to consider them. Just as many business travelers prefer Love Field to Dallas-Fort Worth, there are plenty who travel to New York that would rather land at LaGuardia than JFK or Newark Liberty. Delta and American (which recently absorbed US Airways in a merger) are LaGuardia’s two busiest air carriers carrying 10.5 million and 7.4 million passengers, respectively. At No. 3, with 2.3 million passengers last year, is Southwest. If the perimeter rule is lifted at LaGuardia, look for Southwest, Spirit Airlines or possibly Virgin America and JetBlue to take a look at routes between that airport and Las Vegas. There’s one other airport that has a perimeter restriction similar to the one in effect at LaGuardia. It’s at Ronald Reagan Washington National Airport, the airport closest to the U.S. Capitol and a preferred arrival point for most congressmen. There aren’t any announced plans for National to remove its existing 1,250-mile perimeter rule. But if the New York and New Jersey Port Authority change the landscape at LaGuardia, could Washington National be far behind?